Space Nk- £48 for six I’m going to kick this off with my favourite set of crackers. They work out at £8 a cracker which is fairly inexpensive in comparison to most crackers around but the best thing is that you get a great selection of high-end brands such as Caudalie, Oribe and Laura Mercier. I think these are the ones I’ll have round my Christmas table. No7- £14 for six These are the best value set at under £2.50 each- but you can even get them on 3 for 2!! Inside there is a mixture of nail polishes and skincare all perfect for winter. Champneys £10 for four Another great set if you are on a budget. Admittedly they don’t look quite as luxurious as the rest but they are a great option if your guest are more in to bath and body care rather than makeup and skincare. Cowshed Christmas Crackers £10 The singular £10 crackers are best as a treat to yourself or as a gift as they are quite expensive however with this Cowshed one you get two products inside; a lip balm and a hand cream. Philip Kingsley- £10 If hair care is more your things than this Philip Kingsley one is the one for you. It comes with a shampoo, conditioner and the cult favourite Elasticizer perfect for achieving party ready hair. This Works – £10 The party season is the time of the year when most of us get the least amounts of sleep which is why I love that this cracker has the This Works Deep Sleep Body Therapy inside which is one of my current loves. Clarins- £39 for six It’s no secret that Clarins is one of my all time favourite brands so I’d love to discover this makeup or skincare inside my cracker. Harvey Nicols £50 for six This one comes a close second to the Space Nk one as it houses brands such as Laura Mercier, Deborah Lippmann and Prada, with a great mix of nail polish, perfume, skincare and makeup. Jo Malone- £32 The most luxurious cracker of all. It has three (sample sized) Jo Malone products, need I say more…. 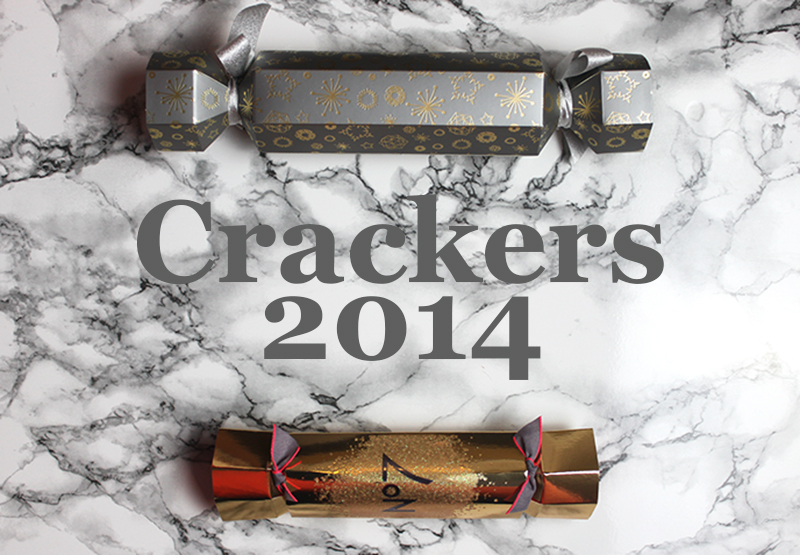 Which is your favourite cracker?